The bustle of the holidays is almost over, and now is the perfect time to get organized for the coming year. Recycling is a great way to reduce your carbon footprint all year and doing it takes just a little bit of planning and knowledge. Follow these Golden Rules to be sure that you are recycling in the most efficient manner. Separate your waste carefully. If too many non-recyclable items are in a load destined for processing, the entire batch is rejected and sent to the landfill. Know the rules for your community and follow them. Look for the symbol on packaging to determine which waste products can be thrown into the bins and which must be sent to the trash. If you aren’t sure, put the item in the trash rather than risk contaminating an entire load. Separate the recyclables. Know the requirements of your area and follow those rules. 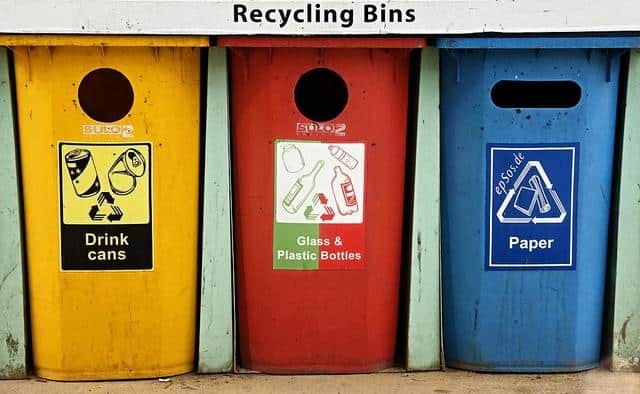 Some facilities refuse coloured glass, for example, while other communities may ask households to keep glossy paper from magazines and ad circulars out of the recycle bins. If the recycling facility in your area does not take them, try to wash and reuse them as storage containers. Rinse the containers before putting them in the bin. Food products can interfere with the recycling process and should be rinsed-off. Rinsing containers also helps keep your storage bins from developing unpleasant odours and growing mold. Heavily soiled paper and cardboard such as pizza boxes should be kept out of recycling bins entirely, although some communities take food-soiled paper as compost. Make an effort to recycle whenever possible. Most facilities don’t take plastic bags, for example, but your local store may collect them to send to a special recycling centre. Shipping companies frequently recycle packing peanuts and bubble wrap, while electronics stores may take TVs and computer monitors. Find a business that accepts batteries for recycle instead of throwing them in the trash. Don’t make waste. Bring reusable bags when shopping and don’t use a bag for single items. Choose products that are not over-packaged. Buy in bulk and divide your purchase into reusable containers at home. Buy products that are packed in recyclable materials. Styrofoam is bad stuff – avoid it whenever possible. And have bills, bank statements and other routine announcements sent to you electronically.